Rare 3 bed duplex with full views, vacant. A WELL MAINTAINED APARTMENT IN CENTRAL PARK IS FOR SALE. DIFC (Dubai International Financial Center) is a multi use community that abounds many apartments for sale of all types and sorts. DIFC is a throbbing financial heart that stands in the center of Dubai and houses many financial corporates and organizations. DIFC is distinguished with its tall shimmering towers that feature modern and spectacular designs. Moreover, it has a variety of residential buildings designed and built in synch with the highest architectural standards. DIFC became one of the city’s significant trademarks, it was built in 2004 to be one of the greatest financial centers in the whole GCC and Middle East regions. The community sprawls over 110 hectares and offers unique advantages to businesses including tax-friendly system and an independent judicial system. The project’s main concept is to create a business friendly ecosystem where they can nurture and grow. DIFC is a free zone, it offers 100% ownership to companies. DIFC lies in a central location directly off Sheikh Zayed Road, it’s also adjacent to Dubai Metro station carrying its same name, which makes it very reachable for public transportation users. Besides its business facilities, DIFC offers a wide set of exquisite apartments for sale that resemble very lucrative real estate investment opportunities. The apartments are located in one of the most demanded areas in Dubai and they witness a yearly appreciation in value estimated at 10% to 12%. The project houses a wide set of amenities including swimming pools, fitness gyms, parks, retail centers, and many other. The master concept of DIFC project is to offer a total redefinition of luxury lifestyle by introducing sports venues, entertainment destinations, and central location in the heart of the city. It’s a fully integrated community where all elements of comfortable living are available. 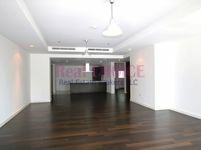 The apartments for sale in DIFC vary in type between studios, regular apartments, and penthouses. They also range in size from one-bedroom to four- and five-bedroom apartments. 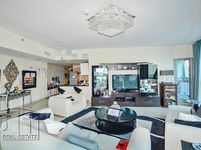 Each apartment offers splendid overview of the sea and Dubai’s skyline, they also offer a wide set of amenities including swimming pool, sauna, steam bath, fitness gym, and many other. Developers of DIFC made sure that the apartments have all needed facilities to make living more comfortable for residents, they have CCTV camera, security system working 24 hours, private car parking lots, maintenance to provide full backup on any matter, and many other. The life in DIFC is completely unmatched by any other community in Dubai, it’s a quintessential residential community that has all needed facilities and life leisures. Buying an apartment in DIFC is definitely a profitable investment decision that will have high return on its owner. Selling prices in DIFC start from AED 845,000 for an unfurnished studio, while the average price of a two-bedroom apartment is AED 1,700,000. 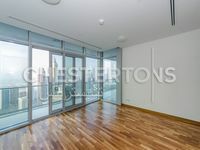 Just Property has a wide variety of apartments for sale in DIFC available for all users to check. 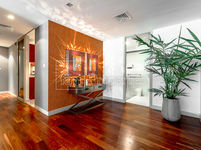 The apartments are arranged in well curated and simple lists to facilitate the searching process on property searchers.